Calling all fae fans. You don't want to miss this one. Without rehashing the complete story, the highlights are - Salome has sever phobias about winter. Enter 3 (yep three) guys, Colton, Nevin and Gareth, who all claim to have her best interest at heart. You just know that she is going to end up with one of them, but which one ? I called it fairly early on and got it right. There is a family curse here, that family members are forbidden to talk about, and Salome must solve the puzzle on her own. Kudoz to Salome for eventually working out the mystery, 'cuz I couldn't, at least not completely anyway. To be honest I think one of the very few things I didn't like about this one was the main characters name. Salome sounded just a little too exotic for the setting of the story for me, but I did enjoy the character. 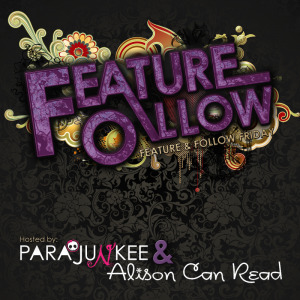 I loved hearing about the fae and I loved watching Salome trying to conquer her phobias. I was a little puzzled occasionally by what seemed a little like over-reaction, but then I've never had voices in my head, have you? I would like to have seen a little more reaction from the fae when Salome forgot to leave out te food and trinkets, after all it was made out to seem incredibly important tin the beginning, but I don't remember any consequences when she didn't do it. This was a lovely mystery to unravel, the hot guys were really gorgeous, the romance was nicely handled, and all in all I really enjoyed it. 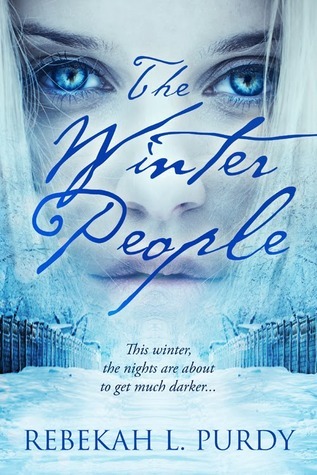 A must-read for fans of April-Lynne Pike 's 'Wings' series. NOTE Did anyone notice that I had the wrong book cover up for about a month? I guess I was having a bad day. Sorry Ms. Purdy. This is a toughie. Because I want to try and use new titles that I haven't referred to but there are certain series that always seems to stick out in my head. I know that I have referred to this series before but it was just so incredibly well-written. Snape's death in Harry Potter is my favorite because it is when Harry finally realizes his professor's true motives, his relationship with his mother and how there was always someone looking out for his best interests, even if things did not appear that way. p.s. Today is Black Friday and The Book Outlet is offering 30% off their already LOW LOW prices. 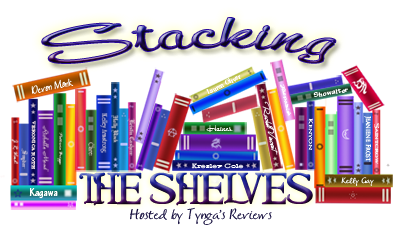 I suggest you check it out...you'll even have enough money leftover from buying books for others to get a little something for yourself!! Sale runs til December 1st!! Skylar is a fascinating character. She has managed to conquer a severely debilitating tendency to panic attacks and for that I admired her. It also made it easier to understand why she didn't go screaming to the authorities when she meets Win. When you've been coping by yourself for so long, I guess it makes sense to keep going alone. Time travel is a very sticky subject and Ms Crewe has managed it very well. Same place, same time conundrum, characters here are 'doxed' (sorry if that is the wrong term. I couldn't find the exact spot in the book) which means that they are whisked out of the way to avoid meeting themselves. Changing the future by changing the past - it happens, and Skylar's reaction to it was interesting. In fact the whole idea of earth being an alien science experiment is totally fascinating. Come on - don't tell me that thought has never crossed your mind? I particularly loved that there are far reaching consequences to all of these so called 'minor' time changes, and our world is basically unraveling. 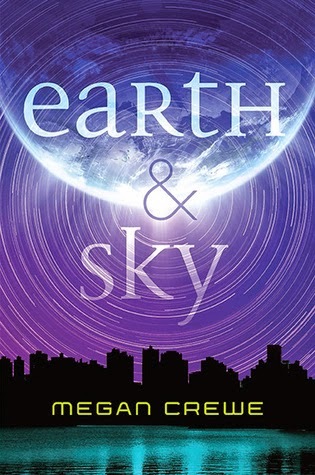 Ms Crewe has written a fantastic and believable world, populated with interesting characters. There is a sense of urgency throughout the whole story, which keeps things moving and I am looking forward to seeing what is next in store for Skylar and Win. Oh, and where can I find one of those time travel tents? It sounds mighty useful. Need not be a young adult. In fact, older adults with a good sense of humor and youth qualify. Must be able to use auto-correct. We don't care about your spelling. Must be literate. Sorry, reading is a requirement. Must have good time management. Someone needs to keep Christinabean and Curlypow on track. We never imagined the Mogodorians could turn one of our own against us. We were fools for trusting Five. And now Eight is lost forever. I would do anything to bring him back, but that's impossible. Instead, I will do whatever it takes to destroy every last one of them. I have been enjoying this series since its inception with 'I am Number Four' and I'm always happy to see a new volume come out. Of course, so are many others, which is why it always takes a couple of months or so to get it from the library. This time around 4, 6, 7, 9, Ella and 5 are coming to terms with death and betrayal and are really starting to fight back. They find unexpected allies and start taking the fight to the Mogadorians. 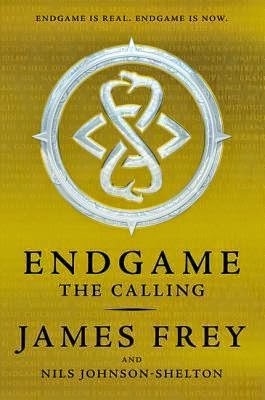 Unfortunately, the books continue to irritate me because of the constantly changing POV's with no immediate indication as to who the narrator is. Yes! I know the typeface changes with each POV, but I'm reading, NOT looking at the typeface. (You do understand what I mean, right?) Each chapter takes me at least a page to reorient myself. Does anyone else find this irritating? Adding a simple number, or character name at the top of each chapter would make it so much easier to follow. Also, this time around, I didn't quite see where the title came in. 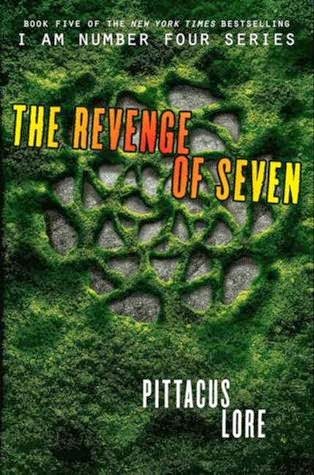 Unless I seriously missed a chunk of text (which, let's admit, is entirely possible) , I didn't see 7 getting revenge on anyone! Did I miss something? Please let me know. However, 7's revenge or not, I still enjoyed the story. What's not to love about aliens running all over the world trying to save our planet from the nasty Mogs? In short, there's lots more fun and hi-jinx for our helpful alien crusaders and it's nice to see them getting the upper hand for a bit and managing to blow a few things up. As always, I look forward to seeing the next episode. 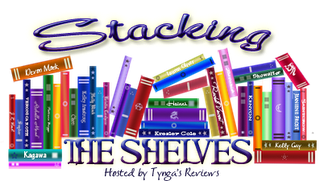 Book Outlet Black Friday Savings - $5 for you...share and get $10 off! Thanks to Book Nerd, I came across a posting for $5 off at Book Outlet! 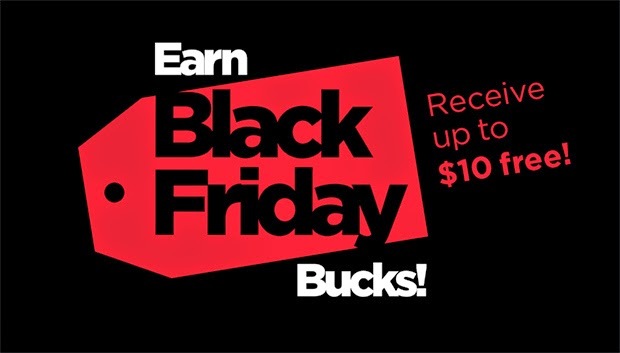 Share the deal and get up to $10 off on Black Friday weekend! Just click on the link below and then fill out your email address so they can send you the coupon! An original fairy tale that has all the best parts of the traditional tales and yet manages to poke fun at them at the same time. Princess Aislynn is everything a fairy princess should be, yet she is being trained to suppress her magic and only to follow the Path as it is laid out for her. Not quite as easy as it sounds however. Aislynn is 'redirected' to become a fairy godmother, and that brought a laugh or three. I enjoyed the premise of the story, but there were times when I found myself wanting a little more. There's not a whole lot of action going on and this book I felt was setting the stage for what is to come next. To be honest, writing this review several weeks after finishing the book, I'm having a hard time remembering any of the details. I remember enjoying the book, but not why in particular. So, should you read it? Yes, if you're a fairy tale fan, but I doubt it will appeal to non-fans of the genre. 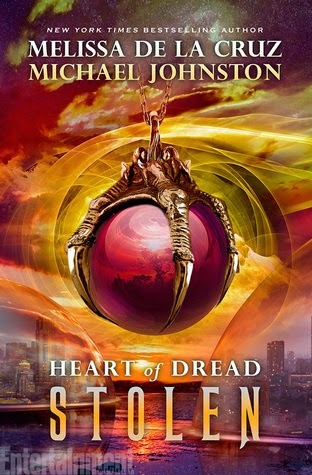 A big thank you to NetGalley for this one! I try very hard not to read too much about books that I have received ARC's for. Sometimes I find it distracting and I go into the book with somewhat pre-conceived ideas about the story. When I started Empire of Shadows, I really had read very little at all about it, and I could not remember what it was that had induced me to request the ARC. As I was reading I kept thinking it reminded me very much of something else I had read and some of the characters names rang bells, but I couldn't pin anything down. Cue the last 2 or 3 pages and it suddenly all made sense when Mara ends up at the City of a Thousand Dolls - as in the book by the same name, and as it turns out, by the same author. I had a hilarious DUH! moment and had a good laugh at myself. You see, Empire of Shadows is a prequel to City of a Thousand Dolls (as I'm sure you are already aware) and tells the story of the background characters from that book - yep, that's why they sounded familiar. I swear, I didn't realize it beforehand when I kept thinking that it reminded me of that book. 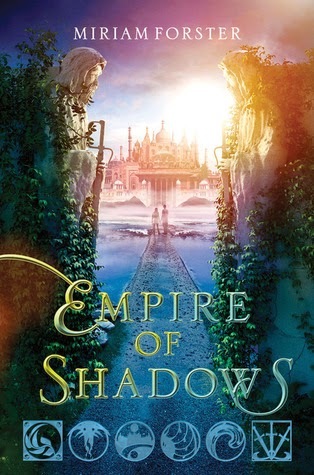 I must admit though, that I enjoyed Empire of Shadows very much on its own merit. Ms Foster has an engaging style that I find really easy to follow and her characters have a roundness to them that appeals to me. She has developed such a complete world that it is fun to just fall into it and follow the story to its conclusion. This should be an absolute must read for anyone who enjoyed City of a Thousand Dolls or enjoys engaging fantasy with an oriental feel to it. This was a great read. 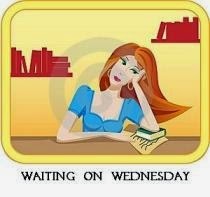 Last week I was reading Isla and the Happily Ever After. This song seems rather fitting. Happy listening...and reminiscing to those of you who remember the 90s. 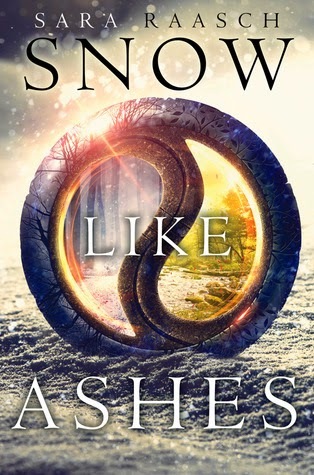 I absolutely loved Snow like Ashes. It was a pure delight to read, from start to finish. One of the things that drew me in immediately was the uniqueness of the world building, and the fact that the 'bad' guys come from a country named Spring. I mean, just the word Spring invokes lightness and brightness and smiles, doesn't it. But this Spring is rotten at its core. Taken with the fact that Winter, where one could reasonable expect things to be 'bad', is in fact the country that has been wronged. The entire world building was so well thought out and executed that it was very easy to fall into the story. Add to this a wonderful cast of characters and you have the makings of a stellar new fantasy. I loved that the characters had been struggling for so long just to stay alive. Meira is trying so hard to prove her worth as a fighter and I admired her fortitude. There is a wonderful twist in the story, and while I had suspected for several chapters what was really going on, the actual revealing of deception was very well done, and I believed that it had been done with the best of intentions. A well thought out fantasy with great characters and tense, exciting adventure that should appeal to most fantasy lovers. 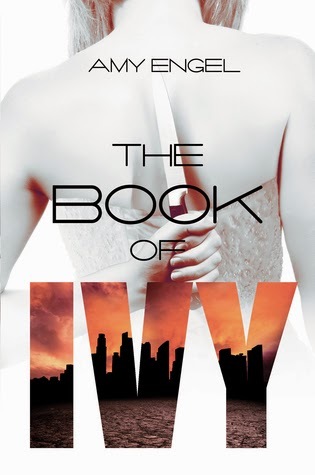 'The Book of Ivy' was a well written dystopian novel that envisions a much smaller world that has developed some odd customs to maintain balance. Ivy has grown up with her father and sister and has been effectively brainwashed by them into believing that killing Bishop Latimer is the only solution to the current problems. Thankfully, Ivy has a brain of her own and she starts to question everything that she has been taught to believe and she actually starts to think for herself. Bishop is a kind and caring individual who has also grown up with expectations, but who has decided to go his own way. Ms. Engel has created two likeable characters living in a well thought out world that was easy to believe. While I enjoyed 'The Book of Ivy' I have to be honest, it didn't WOW me. There wasn't any one factor that made it stand out from all the other dystopian novels that abound these days. Will I recommend it? Absolutely. I can think of several kids who pop in at work that would love the slow building romance between the two main characters, and the slightly old fashioned feel to the story, but I don't think I'm going to be in any rush to read the follow-up. 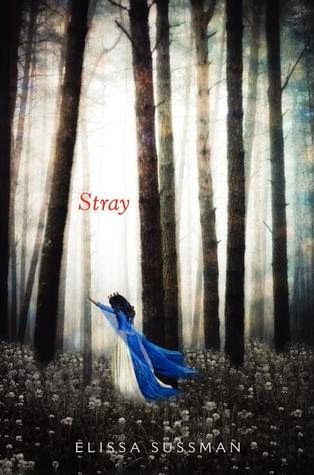 A must read for fans of the Southern Gothic type of mystery, Compulsion was a fascinating look into so-called supernatural curses that last generations. After some initial skepticism on my part, I pretty soon fell into the story and was cheering Barrie along in her search for a solution. I'll be honest, one of the more compelling reasons was Eight. Oh my! I'd like to meet him - his father not so much! I really enjoyed the relationship between Eight and Barrie. There is instant attraction, but not insta love, so I was ok with that, and I thought that given the circumstance their relationship followed a believable path. There is an element of suspicion, but this was satisfactorily explained and I enjoyed solving the mystery with the two of them. 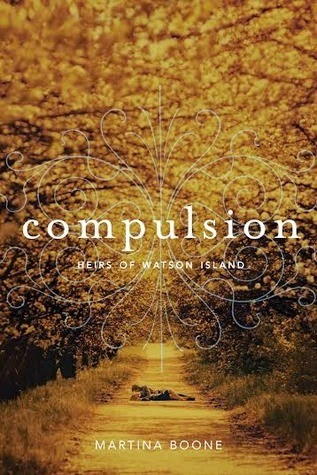 With lots of mystery and suspicion, false leads and eerie ghosts, Compulsion was a compulsive read, and a quick one. 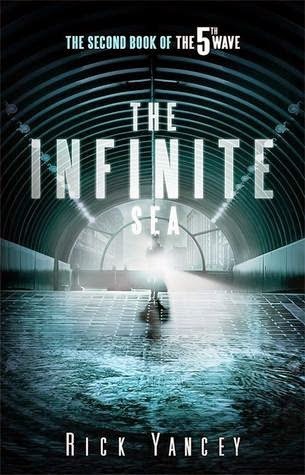 I finished it in a couple of days and thoroughly enjoyed it. Well done Ms Boone. I'll be looking for more from you. I remember reading a book by Chelsea Cain many years ago and really enjoying it, so I'm not sure why I haven't read any more by her. 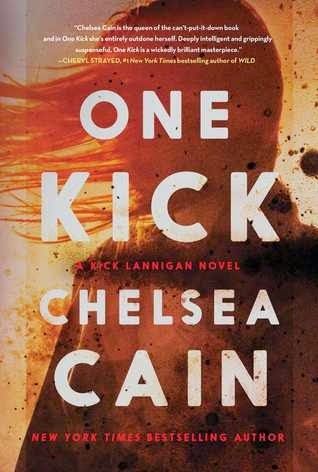 When I saw 'One Kick' I thought it might be a great crossover novel, and it would be, but with some reservations. 'One Kick' is not for the faint of heart. The subject matter - abducted children - is harrowing for many people, but the sub-topic, which I am not going to identify, is even more controversial. If you are not a fan of disturbing subject matter, then 'One Kick' is not for you. Having said that, I was absolutely riveted from page one. Kick Lannigan was a fascinating protagonist. I found it impossible to imagine how I would behave had I gone through what she had, and I admired her immensely. She chose to fight her demons and use her skills to help others. I think I might have just curled up in a corner and given up. Ms Cain does not go into a lot of explicit detail, but manages to infer some pretty unbelievable situations that had me feeling like I needed a shower. 'One Kick' is tense and riveting, and Ms Cain's writing style is such that I, for one, could not put the book down. I was propelled along by a sense of urgency that I shared with Kick and Bishop. There is no time to waste, they have to solve the kidnappings or it will be too late. This was a fascinating and horrifying look into a subject that I suspect most of us would like to brush under the carpet and try to forget about. 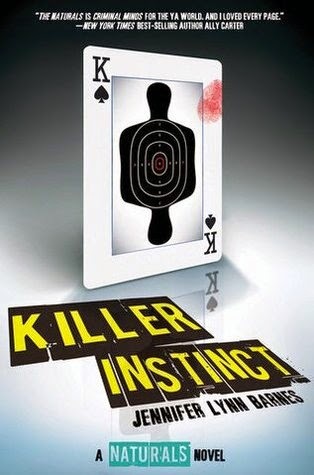 A must read thriller for those with strong stomachs. 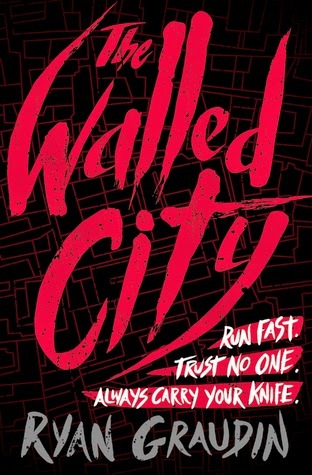 I have a copy of this book on my phone right now compliments of the good folks at NetGalley and I haven't been able to find the time to read it. Sounds extremely fast-paced and exciting though! !